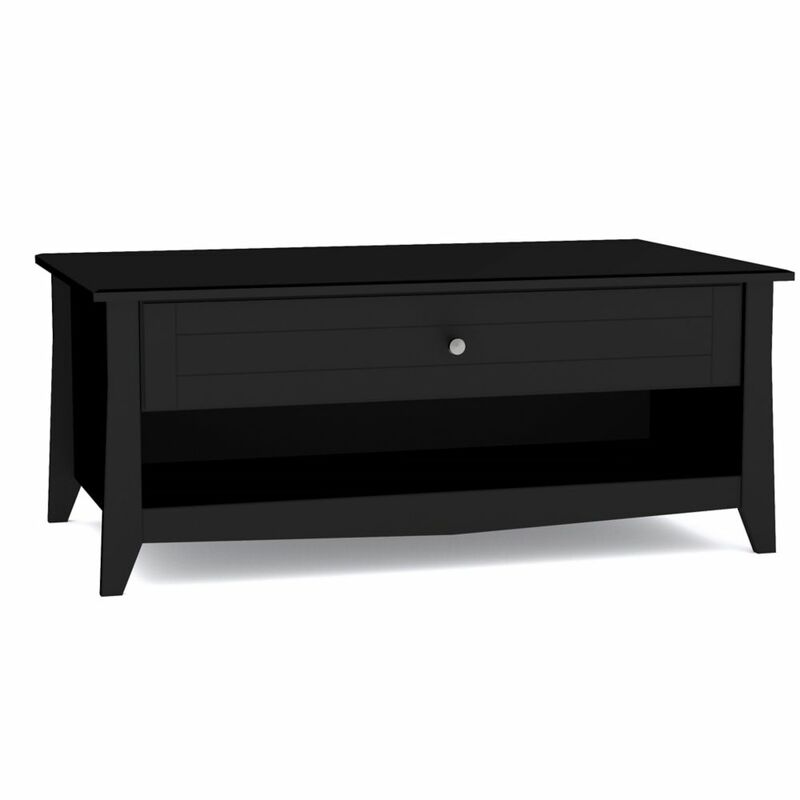 Tuxedo Coffee Table from Nexera offers smart storage space where you need it the most. On one side of the table you will find a large drawer on metal slides where you can throw in TV guides, magazines, coasters, etc. On the other side you will find a storage section with a drop-down door, ideal to keep your remote controls handy. The table also features 2 open storage sections to display decorative pieces or books. Pair it with matching Tuxedo End Table and Hallway Table for a complete set. Tuxedo Collection from Nexera is offered in a rich black textured lacquer and melamine with refined construction details and decorative metal handles. It proposes a complete collection for your living room, from occasional tables to TV stand and storage. Tuxedo Coffee Table Tuxedo Coffee Table from Nexera offers smart storage space where you need it the most. On one side of the table you will find a large drawer on metal slides where you can throw in TV guides, magazines, coasters, etc. On the other side you will find a storage section with a drop-down door, ideal to keep your remote controls handy. The table also features 2 open storage sections to display decorative pieces or books. Pair it with matching Tuxedo End Table and Hallway Table for a complete set. Tuxedo Collection from Nexera is offered in a rich black textured lacquer and melamine with refined construction details and decorative metal handles. It proposes a complete collection for your living room, from occasional tables to TV stand and storage.